This post is a cheater to fill my mid-week slot. Blogging is demanding. Not only does the blogger need to spend hours writing, and inserting slippery photos and links, but she has to do research – i.e. have a life to write about. I currently have several posts in draft form. Brilliant starts that need a few thousand hours to bring up to snuff. Or posts about projects that are incomplete and I need time to complete them so I can then spend a hundred hours writing about them. For example, following on the success of my rhubarb wine, I am working on a whole series on fermentation projects for the home kitchen. Which reminds me that I should spend a good chunk of Saturday picking blackberries this weekend. An hour later… Fascinating journey through bizarre performances. I think I’ll leave you on your own to explore. I know. Yesterday I spent hours trying to figure out why the photos I took for the blog, and gmailed to myself, have become “hidden” when I downloaded them. (It will likely remain a mystery but I’ll find out how to circumvent it.) I know that you understand how it is! Your admiring audience loves your blogs, so we thank you for all the grunt work that goes into your blogs updates. I just read Steve Tyler’s ” Does the noise inside my head bother you” and yes it does. I read it from cover to cover, although many times I seriously considered abandoning the book. No one wanted to read it after me,so I left in the local library return box. Thanks for your encouragement about the blog. That’s funny about you reading Steven Tyler’s book. Maybe I’ll read it in 10 years time when a free copy happens along. At least he is still alive so you can think how his live has evolved. 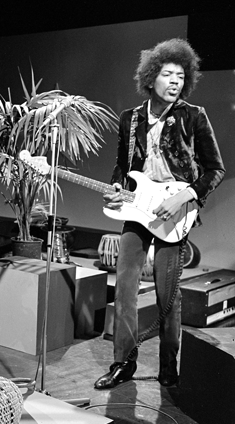 But Jimi Hendrix… he was a very poor kid, got rich and famous, did drugs, played guitar, died. I have reached the point where he has turned 26, and I know he dies at 27. Why is it funny for me to be reading Steve Tyler’s life story? The guy did some serious drugs, I am amazed he is still breathing. And no, I am not an Aeropsace fan although I like “Dream On”.